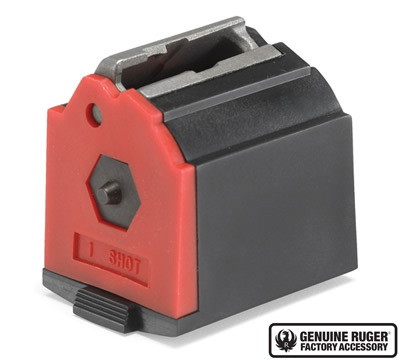 This standard BX-1-1 magazine holds one shot and is ideal for training purposes. Works with any factory original 10/22® Rifle, SR-22® Rifle, 22 Charger™ Pistol, .22 LR Ruger American Rimfire® Rifle and .22 LR Ruger 77/22® Rifle. *Due to changes in the law effective October 1, 2013 Ruger is not able to sell magazines to CONNECTICUT residents.